You have plenty of options for birth control, depending on your lifestyle and when you want to get pregnant. 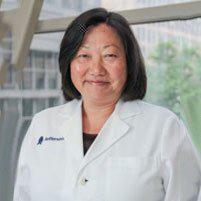 Expert Philadelphia-area gynecologist Christine Wu, MD offers the latest and most effective birth control methods. If you need to start birth control, or if you want to change the type you use, schedule an appointment with Dr. Wu. Book your visit by calling the office or by using the online scheduler. Aside from sterilization — a procedure that prevents you or your partner from ever becoming pregnant — the most effective form of birth control is the intrauterine device (IUD). The IUD — a temporary implant that goes directly into your cervix — is over 99% effective at preventing pregnancy. Depending on which type you select, it either acts as a spermicide or prevents sperm from reaching your eggs. Does birth control protect against STDs? It depends, but most of them don’t. The only way to prevent STDs — aside from abstinence — is to use a barrier method. This can include either male or female condoms. If you’re sexually active with multiple partners, speak with Dr. Wu about which birth control methods are best for you to not only prevent pregnancy but also to protect against diseases or infections. Will birth control prevent me from becoming pregnant later in life? It depends. If you know your family is complete, sterilization for you or your partner will forever prevent pregnancy. In the meantime, though, other forms of birth control can help you prevent pregnancy until it is right for you. Many women can conceive within a few weeks of the birth control hormone wearing off. Or if you have an IUD, you can become pregnant shortly after you have it removed. Schedule your birth control consultation with Dr. Wu by calling the office or by using the online scheduling feature.